Life can get pretty crazy, and sometimes we forget to reconnect with the ones we love the most. The question is how to bring the romance back in your life. Valentine's Day, popping the question, honeymoons? Even the most ardent lovers could make use of romantic inspirations. Whether you're about to go on your honeymoon or a romantic getaway here we've selected some of the most romantic idylls in India to give you the ultimate romantic vacation ideas in India, perfect for loved-up couples. From the Himalayan mountain retreats to the grand palaces of former maharajas; from the idyllic backwaters and hill stations of Western Ghats to the virgin beaches of still exotic Andaman and Lakshadweep Islands and from the romance of rail aboard world’s most luxurious trains to wilderness camps, we bring to you the ultimate romantic vacation ideas in India. Rediscover romance by stealing away to one of these hot spots in India. 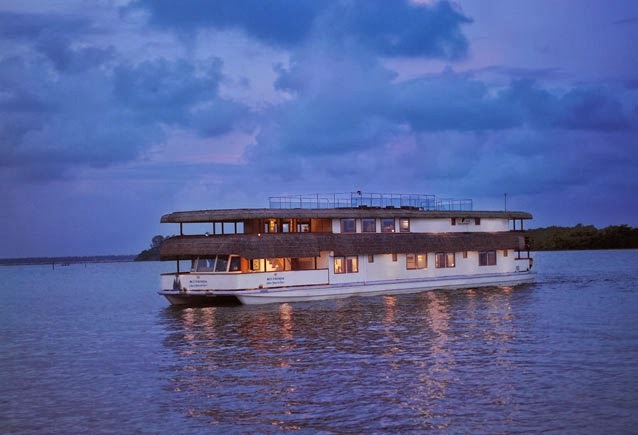 The palm fringed backwaters of Kerala are one of India’s most mesmerizing destinations – and The Oberoi Motor Vessel Vrinda, is the most romantic way to experience it. As per the latest trends in luxury travel, cruise will dominate the connoisseurs of luxury and romance. As per Wikipedia definition "a cruise ship or cruise liner is a passenger ship used for pleasure voyages, where the voyage itself and the ship's amenities are a part of the experience." The definition itself is a hint as to why cruise ships are favored by couples. In India, the prestigious Oberoi Group of Hospitality offers luxury cruise in its vessel Vrinda. Yet another heritage cruise is available in the Ganges (See details here if interested). Imagine sipping on wine and soaking in the tranquil scenery of Kerala Backwaters. Oberoi Motor Vessel Vrinda meanders through the serene lakes and canals and the surrounding lushness of picturesque backwaters and lush rice fields conjures up some magical moments of warmth and closeness. Sail into the sunset and rediscover romance swathed in brackish lagoons and gentle melody of water beneath the star spangled sky. 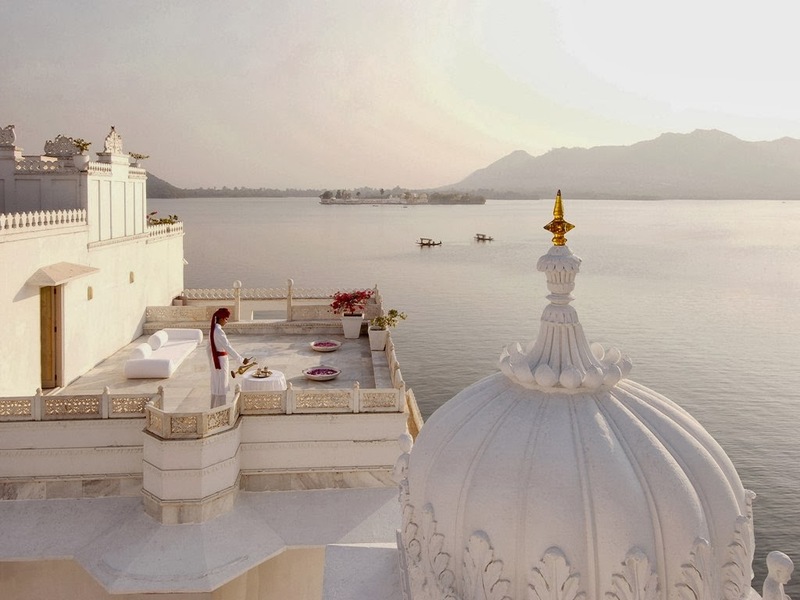 The Oberoi Vrinda Cruise is our Numero Uno for the ultimate romantic vacation in India. If its Kerala in your mind and you're looking for other inspirations for romance and honeymoon, check out our post on yet another 5 great ideas for romance and honeymoon in Kerala. Or if you are looking for some really plush and romantic hotels to stay in Kerala, check out our post on 5 best luxury hotels in Kerala. With the arrival of Maharajas' Express luxury trains have certainly become the hottest things in India. Already existing Deccan Odyssey and the Golden Chariot are also close in heels and not to mention India's most revered Palace on Wheels. So why do we recommend luxury trains for romantic vacation ideas in India? For one they are regal, they offer privacy and they make you feel special almost royalty. For yet another, luxury trains recreates the romance of a bygone era of traveling. In unhurried luxury and unlike the cramped luxury of jets or cars where you savor each and every moment as you travel back into an age of decadence, elegance and romance. 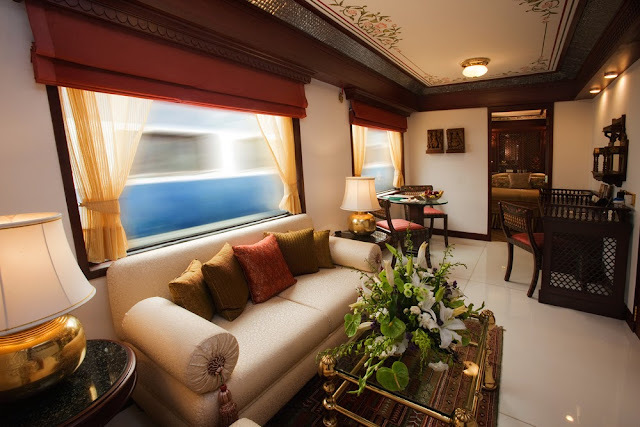 While trains like the Golden Chariot or the Deccan Odyssey offer indulgence, Maharajas' Express train with its Presidential Suite (mind you it has 2 bedrooms with attached bathrooms, 1 equipped with bath tub, and even suites have attached washroom with bathtubs) is indeed a Vanity Affair. For just the 2 of you, it is unabashed luxury if you could splurge. The 3 nights journey in Presidential Suite costs whooping $12,900. For more affordable luxury opt for Junior Suites or pick any other luxury train in India. Care to know about the world's 10 best luxury trains? Beaches have always charmed and seduced lovers and couples. The sun, sand and siesta of beaches are the perfect recipe for romance. Add to this cocktail 1 part frolic in the sand, 2 parts of water adventure and remaining part, the privacy of your accommodation. Do you still reckon it could get more romantic? Okay! We've only just begun. How about a romantic candlelight dinner over champagne under the starry sky? Or how about watching the sun go down the distant horizon with sky painted reds and golds and yellow and you with your arms wrapped around your partner? If you need direction, we'd recommend Leela Goa or Vivanta by Taj Fort Aguada both with their private beach. Or head to Havelock Island, one of the Islands belonging to Andaman and Nicobar Islands. If you're keen on Goa check out our post on things to do in Goa. And for some of the most romantic hotels at some of the best locales in Goa, check out our post 5 best luxury hotels in Goa. One of the best ways to spend a romantic yet rejuvenating holiday in India is to discover a world of relaxation and wellness. That some of these spas are located in the hills elevate the element of romance. These tranquil hill hideaways with state of the art spa and romantic packages specially designed for couples and honeymooners leave lasting impressions. It's not just these hotels but the captivating beauty of the rolling hills and lush forests. Enveloped in Oak and Cedar forest away from the din of bustling city that Shimla has become, Wildflower Hall by Oberoi is a grandiloquent statement of romance. The luxury spa of this painstakingly restored heritage property is as romantic as it gets with special sessions for couples. If that's not enough for getting cozy, there's outdoor jacuzzi where you have privacy plus breathtaking views of the sprawling cedar forest and cotton wool peaks of Himalaya. Even if you are not in Oberoi Wildflower Hall, romance is all Shimla is about. There's the scenic ride offered by Kalka Shimla Toy Train recreating romance of a bygone era. There are horse rides, ice skating, rafting, scenic trails and promenades along the mall road suffused with colonial charm. Himachal Pradesh is replete with nature's bounties. Alternatively, even Coorg in Karnataka, Gulmarg in Kashmir and Ananda in Himalaya are the ultimate romantic vacation destinations for romance of the hills and picturesque environs. Or you may even try Ooty, the queen of hills. Wildlife vacations are yet another off the beaten path romantic experience to celebrate and spend some quality time with your spouse. The celebrity wedding of Katy Perry and Russel Brand which took place in one of the most legendary wildlife sanctuaries in India has sparked a genuine interest among couples and honeymooners for wildlife as a romantic destination. Ranthambore National Park with its royal connection and tales of romance and chivalry is one of the best in the line closely followed by yet another legendary wildlife sanctuary Jim Corbett National Park. Even the Kipling's Kanha is renowned for its romantic ambiance, serenity and captivating landscape, not to forget its association with Kipling's famous work the Jungle Book. But where is the luxe factor you ask? Check out the Aman-i-Khas or Oberoi Vanyavilas that add luxury, elegance and romance to stay in Ranthambore. These wildlife resorts offer stay in royal tents and even spa facilities are available to pamper your senses. The icing in the cake is the dinner under the stars with bonfire burning bright to keep you warm. Hold tightly for your moment has arrived. If you are looking for something extra special and want not just one wildlife sanctuary but many more, go for the luxurious Taj Safari Packages. Taj Group of Hotels in a tie up with &Beyond of Africa offers complete wildlife package across select National Parks in India. It is one of the most comprehensive as well as eco-friendly ways to discover the romance of Indian wild. Romance of royal Rajasthan is indeed unparalleled, we've already talked about Ranthambore but that's just the tip of the iceberg. Rajasthan, known as the land of maharajas, is dotted with lakes, deserts, forts and palaces. Rajasthan is renowned for its bright color - which strikes with its sheer multiplicity when witnessed in colorful saris, kurtis and turbans. This is the land of Maharajas, the land of snake charmers, the land of gypsies and the land of artists. This is the land that will make your romantic break an affair to remember for rest of your life. Take for instance the shimmering Taj Lake Palace snuggled in Lake Pichola with the rolling Aravali adding to the romantic setup. Is it a wonder that it was voted the most romantic hotel in India and one of the best in the world? When we're talking of romance and honeymoon, how can we miss Jaisalmer with Sonar Kela as its burnished beacon? Jaisalmer is yet another popular destination in Rajasthan for honeymoon and romance. besides the run of the mill havelis and forts and lakes, the awesomeness of romance arrives as you embark on the camel safari on the undulating sand dunes. Want to try something that will take your breath away....literally? Make a camp under the star with sand dunes stretching as far as your eyes could see. Make a bonfire, bring along your guitar and play a serenade for your beloved. If music is not your thing arrange for the folk players who will thrill you with their songs and dance - which sometimes are quite overt. That will surely flame the fire of passion. Where's the Luxe factor you ask? Try Suryagarh, a seamless fusion of the medieval and modern, a luxury property and an exceptional romantic escape 15 kilometers away from Jaisalmer. There are havelis for accommodation, special treatments, desert excursions and cultural performances to make your romantic escape an experience to cherish for a lifetime. If you are looking for more inspiration, check out our update on popular honeymoon destinations in India. And if you don't care much about the outdoor activities and interested in the best hotels only, check out our post on best luxury honeymoon hotels in India. Looking for more ultimate romantic vacation ideas around the world? Check out our coverage of top 10 most romantic islands in the world.